This 7 Days Uganda Safari takes you to three national parks; Kibale Forest National Park, the best place to see chimpanzees, Queen Elizabeth National Park known for tree climbing lions and Bwindi Impenetrable National Park, home to more than half of the remaining mountain gorillas. This 7-day safari starts and finishes in Kampala. 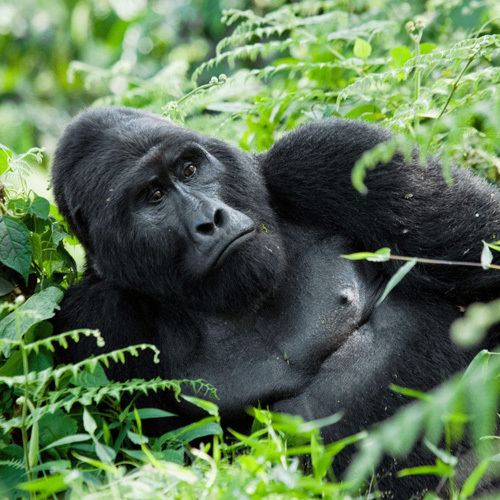 (The Bwindi gorilla tracking permit is included in the cost of the tour). This safari can also be done on a private basis. This safari starts with Kibale Forest with its thirteen species of primate including the chimpanzee. Tracking the noisy chimpanzee families racing through this verdant forest is a thrilling experience. Together with Bigodi Wetland nearby, many forest and swamp birds can be seen. 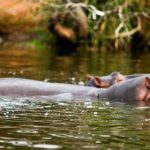 On the savannah plains below the Rwenzoris, see the great game of Africa in the magnificent Queen Elizabeth National Park – elephant, lion, buffalo, hippo and leopard. Track the fast moving and elusive chimpanzees in the Kyambura Gorge nearby. 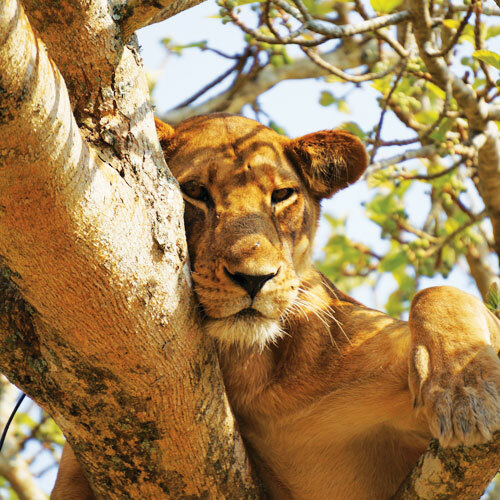 Around Ishasha go on the hunt for the tree-climbing lions lounging on old fig trees. 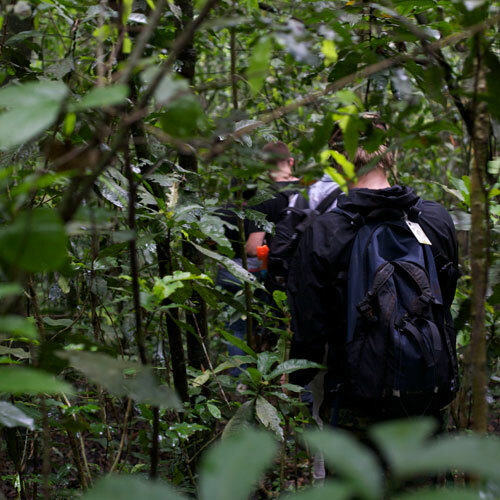 Then continue to track gorillas in the primaeval forest of Bwindi. 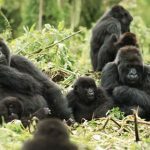 Bwindi has four habituated families and the gorillas there live in thicker tropical forest and tracking is more challenging as the hillsides are steeper. You can also go for nature walks to see birds, monkeys and orchids. Briefing on the safari. Start for Fort Portal via the town of Mubende set in rolling hills. Picnic lunch en route and continue to Kibale. Arrive late afternoon. Relax at a lodge or explore nearby crater lake. Track the noisy chimps and other primates crashing around through the high canopy of the forest with colourful birds squawking nearby. Packed lunch. Afternoon walk in Bigodi to see swamp birds and see some of the community projects financed by tourism. Either a day’s walk in the foothills of the Rwenzoris, one of the great mountain ranges of the world, looking out for its forbidding peaks in the distance, or drive straight to Queen Elizabeth National Park. The game seen will depend on the season; the Kasenyi plains are good for lion and the Mweya peninsula for a variety of animals. An excursion to Kyambura gorges nearby to track the fast moving and elusive chimpanzees, one of man’s closest relations. The chimp population is quite mobile and viewing is unpredictable but the walk is enchanting. Alternatively, go for a nature walk in Maramagambo Forest to see other primates and to visit the bat cave and the blue lake. 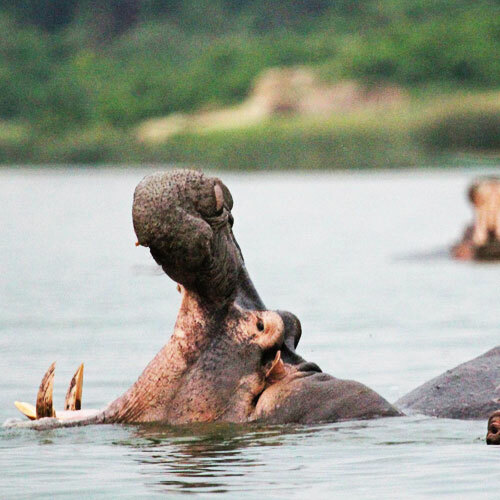 In the afternoon take a boat cruise on the Kazinga Channel where the wildlife and a vast array of birds come to drink. Drive to Bwindi Impenetrable Forest. Either drive via Ishasha, home of the tree climbing lion, roads permitting or take the alternative route through cultivated expanses. Time permitting, go for a short stroll around the Lodge or explore the village. 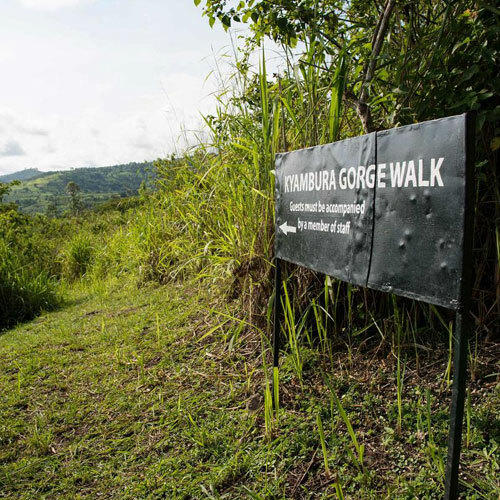 Go gorilla tracking (subject to permit availability at time of booking), walking up steep densely forested hills before finally coming across the gorillas camouflaged in the vegetation. An inspiring moment! Tracking in Bwindi Impenetrable National Park requires stamina and can often take most of the day. Alternatively, go for a leisurely nature or community walk. Early start for Kampala, retracing your steps through this green and pleasant land. Picnic lunch en route, arrive Kampala late afternoon (HB).